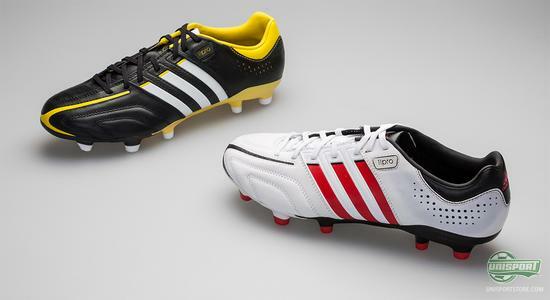 The classic boot silo Adidas Adipure 11Pro has also been given an update, and now two new colourways are ready for take-off. It will land in a white and a black colourway, respectively, thus giving you the freedom to choose your preferred look. 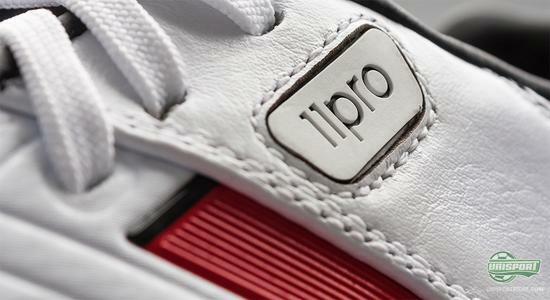 True to form, the design details are kept to a minimum, but the quality is not to be doubted. 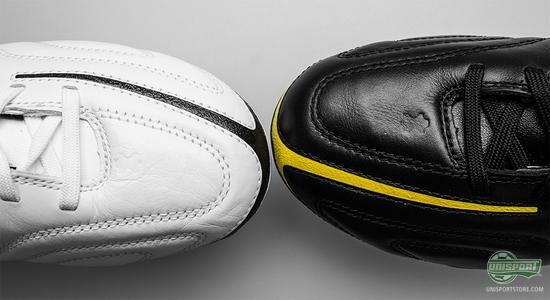 We welcome the 8th and 9th colourway in the lifetime of the Adidas Adipure 11Pro, and once again the German leather boot manifests itself as living legend. 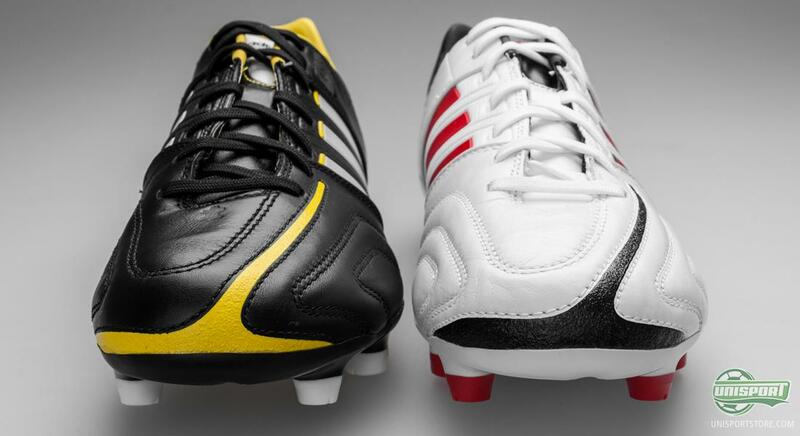 The, already legendary, Adipure collection is getting stronger and stronger, and although the latest generation, 11Pro, had a rather rough start, it has come back, to be one of the most elegant boot choices on the market. You can already pre-order your own pair of Adidas Adipure 11Pro right here with expected delivery primo December  just 146. A great part of the boot's impressive status is a result of the super nice leather upper, which we rarely see these days. 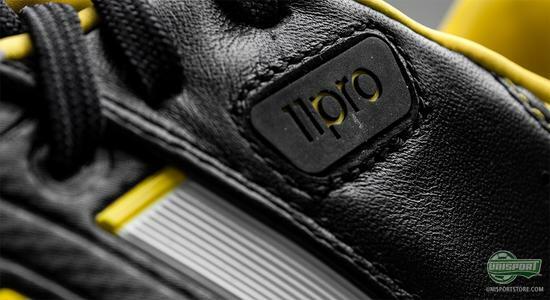 On the Adipure 11Pro, Adidas moved away from the kangaroo leather and instead chose to go with the more environmentally friendly Taurus leather. This should not be construed as a negative move, the upper has been praised for its softness, touch and its impressive durability, as the surface of the Taurus leather has been treated on the critical boots. Adidas Adipure 11Pro have given us numerous excellent colourways along the way and now we are able to present another two sure hits. 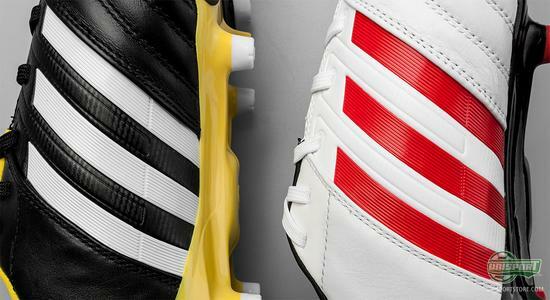 A White/Red/Black colourway, which will match pretty much any football kit and really emphasises the elegance of this boot. 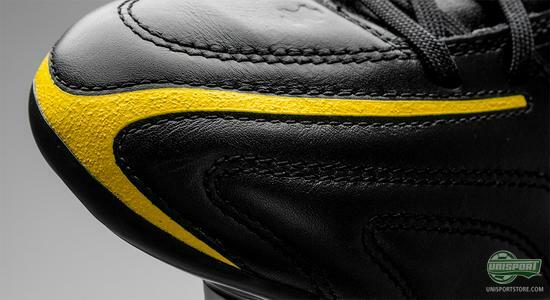 The same thing can be said regarding the Black/White/Yellow colourway, which makes it even harder to choose a favourite. Which colourway do you prefer? 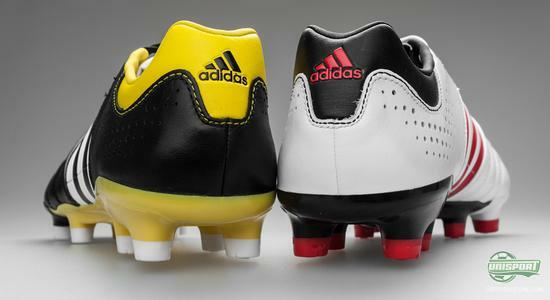 The durability is even further strengthened on the forefoot, where Adidas have applied DuraCoating to the leather, thus prolonging the lifetime of your boots significantly. Hereby, you do not only get a super elegant boot, but you also get a boot that will stay with you for a very long time, which is one of the absolute key points for a leather boot, right? The natural upper material will have the time needed to properly adapt to your foot and you will feel comfortable every time you step into your boots. On a specific area of the midfoot, the leather is exchanged with some microfibre to provide stability in a rather critical area of the football boot. Not only does it improve the comfort, but it also ensures a clean and precise strike area on the medial, as well as, the lateral side of the boot; which can provide your passes with a little more stability and power. On the inside, the Adidas Adipure 11Pro is lined with a suede-like material that provides an incredibly comfortable fit. 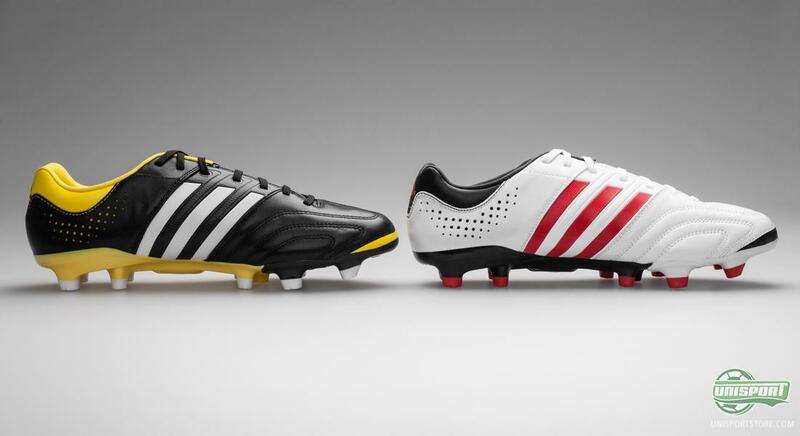 Adidas have applied the same Sprintframe outsole on the Adipure 11Pro that we know from the F50 Adizero and the Predator LZ. This ads a little modernity to the, otherwise, very classic boot and it also helps to keep the weight down. The millimetre thin Sprintframe is known for its flexibility, stability and also its impressive low weight. 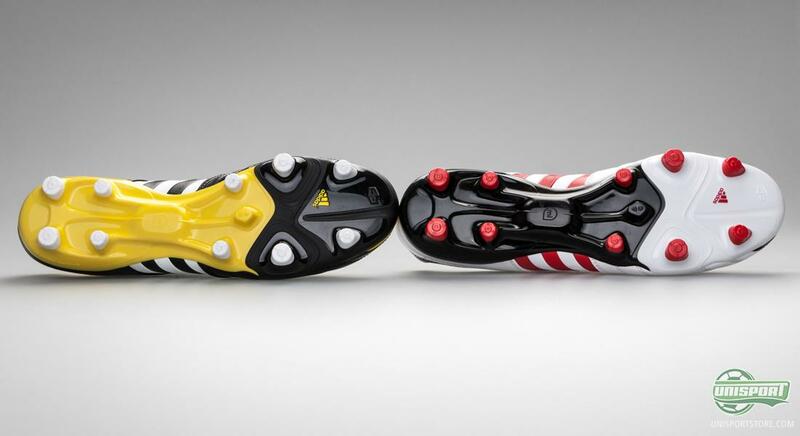 The stud configuration does differ a little, as it follows the more 'old-fashioned' design of the boot. The priority has been to go with a classic stud configuration, built around conical studs, instead of the triangular studs that we know from the Traxion 2.0 configuration. This provides the well known comfort and stability that we have come accustomed to, and the ability to do twists and turns is increased. 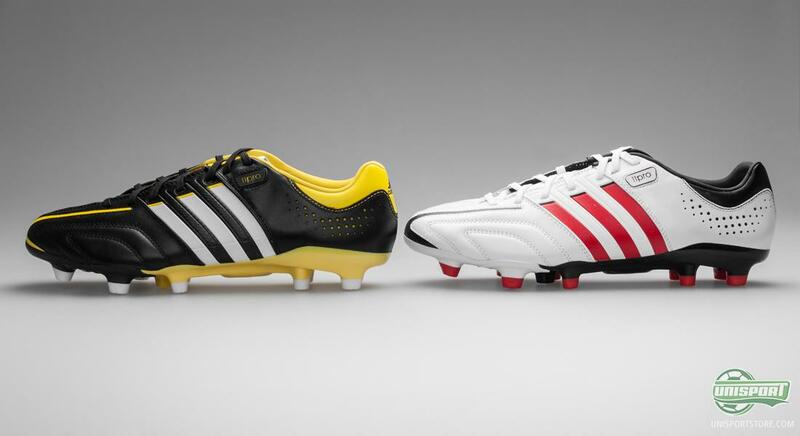 Despite the classic theme, the boot is far from 'technology free' as the Adidas Adipure 11Pro is also miCoach compatible, enabling you to collect and analyse your data from both match and training; average speed, top speed, number of sprints and much much more. On this big release day we have presented something for everyone, and with this boot we can also present something for person who prefers the more classic style. 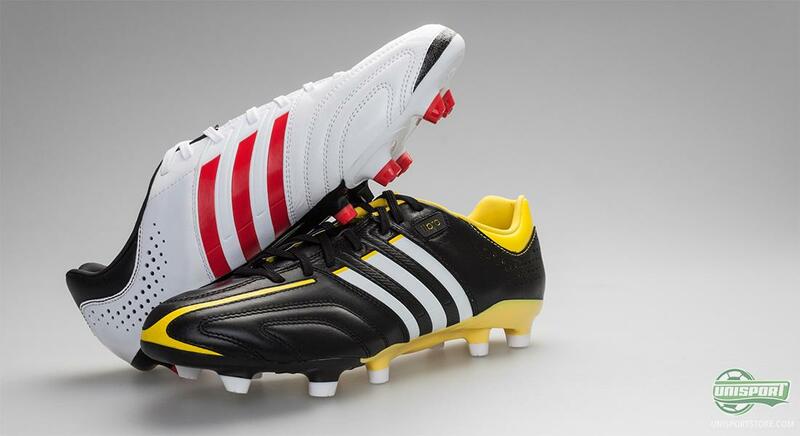 The Adidas Adipure 11Pro, once again, makes it clear that is belongs among the most elegant boots on the market. 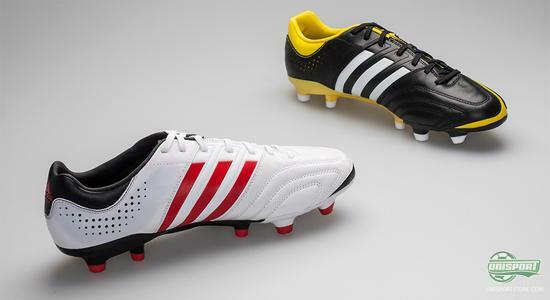 Two colourways; one primarily black, and one primarily white. Which do you prefer? Feel free to leave us your thoughts in the comment field below.